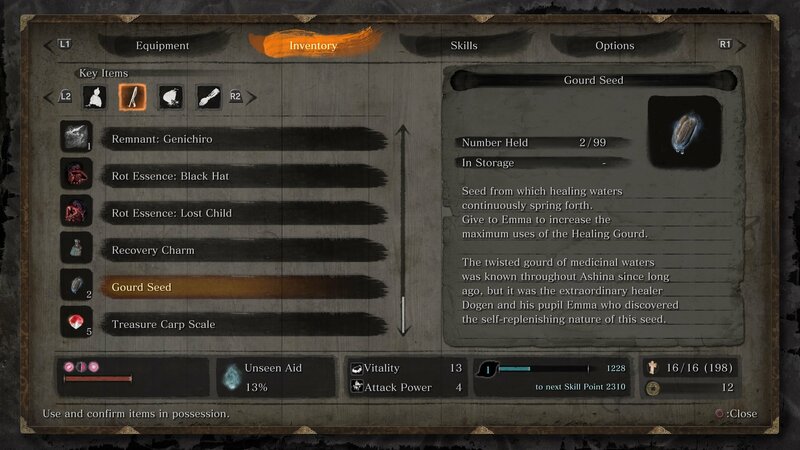 Learn where to find all the Gourd Seeds in Sekiro to boost your healing as much as possible! 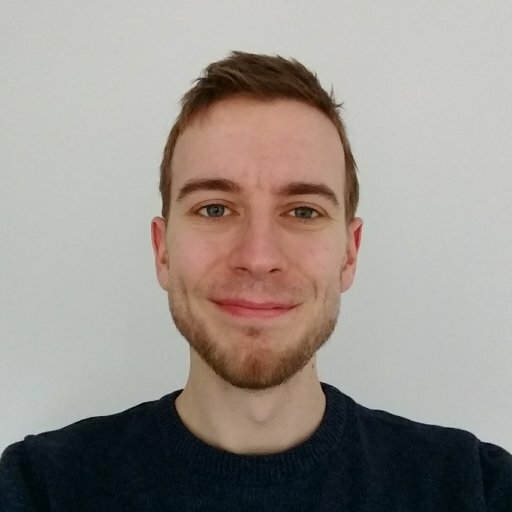 While an ideal battle in Sekiro: Shadows Die Twice will see you deftly dodge or deflect every attack thrown your way, we’re all going to take a hit every now and again. It’s here that healing becomes extremely important. You can top up your health in Sekiro by taking a swig from your Healing Gourd, but uses between each Sculptor’s Idol are extremely limited. You can upgrade your Gourd to give it extra charges by giving Gourd Seeds to Emma at the Dilapidated Temple, but you’ll need to find them first. 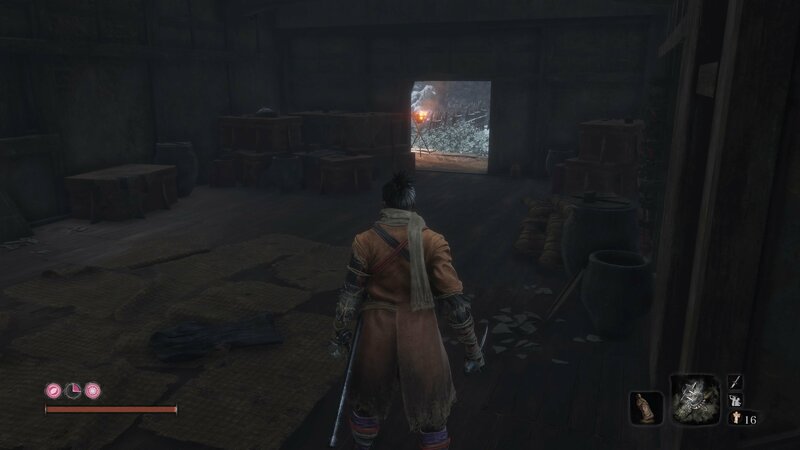 In this guide we’ll take you through all the Gourd Seed locations in Sekiro: Shadows Die Twice. You can grab your first Gourd Seed by beating General Naomori Kawaranda in Ashina Outskirts. He’s a short distance after the Gate Path Idol, and close to the spots where you find the Loaded Shuriken and Shinobi Firecrackers. This is a tough fight for new players, but the reward is well worth it. 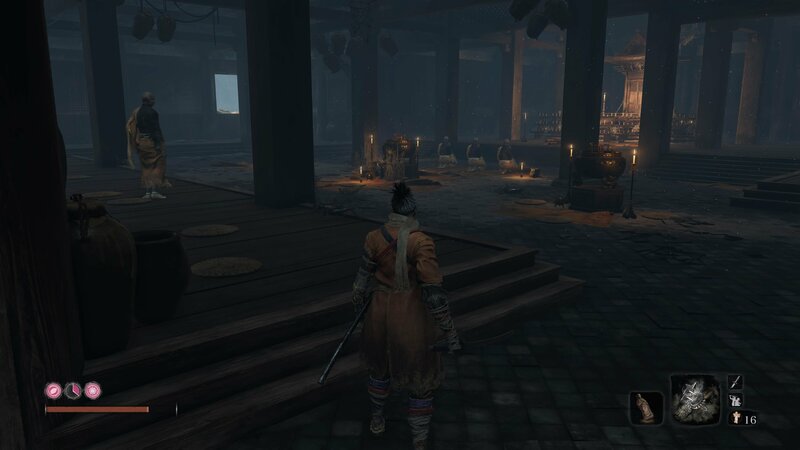 The second Gourd Seed can be obtained soon after the first, a short distance after the Chained Ogre in Ashina Outskirts (after the Stairway Sculptor’s Idol). This red-eyed beserker enemy is terrifying, but can be taken down more easily with the Flame Vent. Once you’ve beaten him, enter the building behind by grappling up to the hole in the wall. Take the path to the left and you’ll find a Gourd Seed left carelessly on the floor. The next Gourd Seed is sold by the Memorial Mob merchant close to the Gyoubu Oniwa boss fight in Ashina Outskirts. 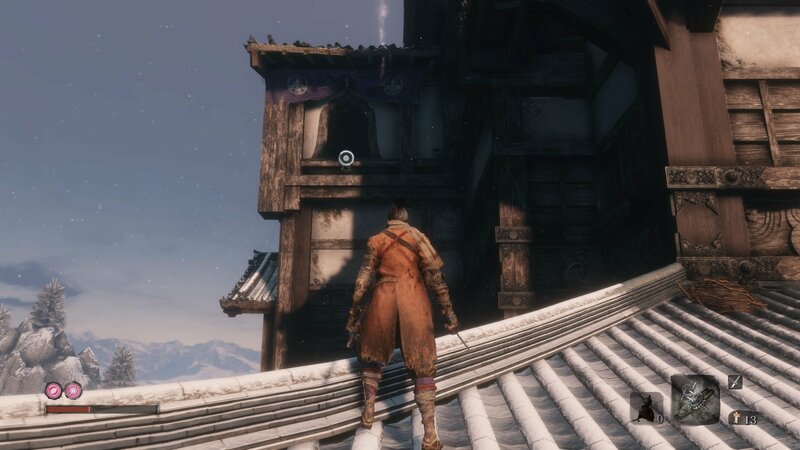 The closest idol is the Ashina Caste Gate Fortress, from which you’ll need to run back across the battlefield and up the large stairs. The merchant is outside, round to the right of the building with the Tengu inside. This Gourd costs 1000 sen, which is a lot of money for most players at this point in the game. This is an item worth breaking into those coin purses for however. This Gourd Seed is also sold by a merchant, this time Fujioka the Info Broker. 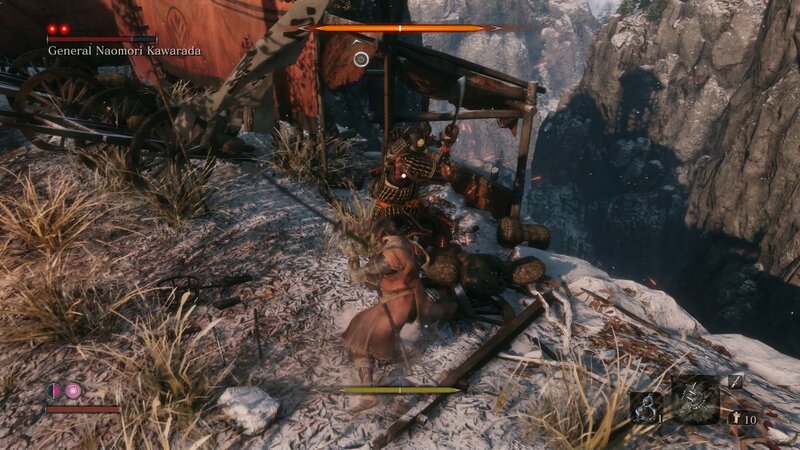 This guy is tucked away in the Ashina Castle area, hiding from the samurai nearby. 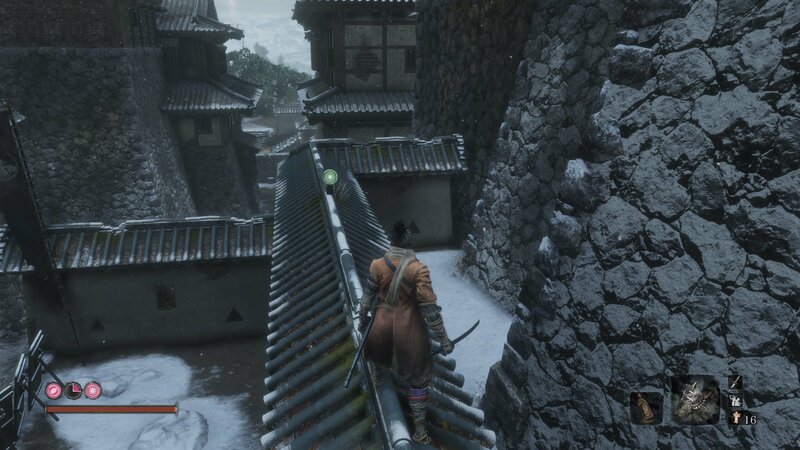 Starting from the Ashina Castle idol, pass through the gate and grapple up and over the wall on your right. There are a lot of enemies here, so be careful. You’ll need to follow the path to the left, either fighting the soldiers or sneaking past on the roof. At the end, up the stairs and round the corner you’ll find Fujioka in a thin corridor. He’ll ask you to take out the samurai in the area, and if you do so he’ll give thanks and a reward before moving to the Dilapidated Temple. 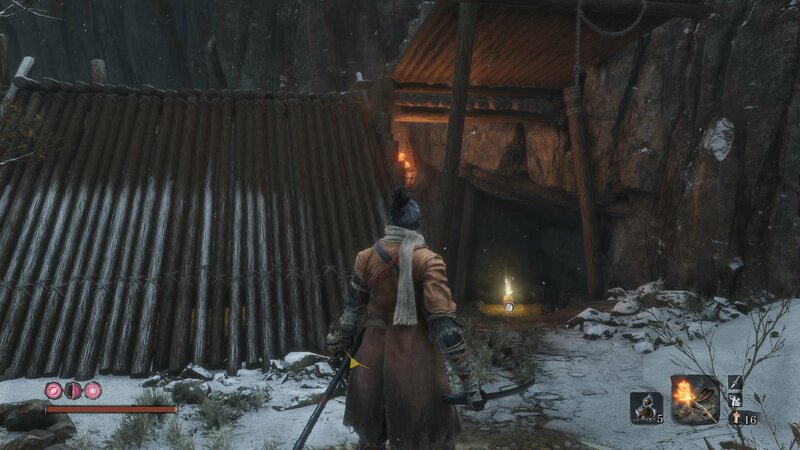 Once there you can speak to him to buy a Gourd Seed for 2000 sen.
Once you’ve fought through Ashina Castle to reach the Upper Tower - Antechamber Sculptor’s Idol, you’ll be able to pick up another Gourd Seed. There’s a chest next to the idol here which contains the seed. To reach this idol you need to grapple up the rooftops on the west side of the castle, then travel back across to the left over the front of the main castle. You’ll then be able to grapple up the various rooftops here to reach an open window you can grapple inside. Watch out for the various Nightjar assassins that guard the roof. Once you’ve reached Senpou Temple you’ll be able to collect the next Gourd Seed. From the starting Sculptor’s Idol, travel up the woodland path to the temple. There’s hole hidden in the left side of the temple gate roof, so grapple up here. Kill the pesky bugs here, then make your way to the next room. There are three monks praying to an infested enemy at a shrine here. The Gourd Seed is sitting on the ground in front of the monks. Fight them and grab it, but watch out for the Infested enemy which cannot be killed permanently. You’ll need to make your way to the Sunkey Valley for the next Gourd Seed. This one can be found close to the Under-Shrine Valley Sculptor’s Idol. From the idol, drop down to the ledges below, walk along and then grapple your way across to the sniping enemy. Follow the tunnel past them and grapple up to the trees here. Rather than jumping down to the object below, climb up the wall on your left. Pass through the tunnel then grapple across the crevasse. Climb the wall on your left again and you’ll find a wooden structure. The Gourd Seed is in the small crevice inside, and you’ll also find some yellow gunpowder useful in upgrading your prosthetic tools. Those are all the Gourd Seed locations we know of so far in Sekiro: Shadows Die Twice, but we’ll update this guide with the last two Gourd Seed locations as and when we find them. Looking for Prayer Bead locations? Our friends at Shacknews can help you out! 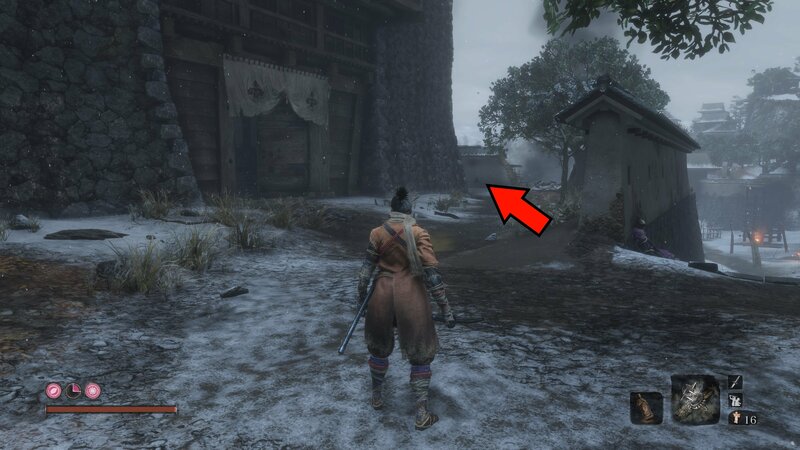 If you’re after Shinobi Prosthetic Tool locations instead, click here for our guide.